Current Apartment availability: No Apartments available, but you are welcome to come and find out about our Village and if you choose us for your future, then we can put you on our wait list. Maida Vale Apartments are thoughtfully and tastefully designed to offer a smooth transition from your own home, offering residents with a level of independence while offering care and security at the same time. Our Apartments range in size from 40m2 to 45m2 and have one bedroom, separate bathroom, combined lounge, dining and kitchenette (some have electric cooking hobs). All are furnished with carpets, drapes and fittings including a modern thermostat-controlled heating system. We have very experienced reliable caring staff to help you 24/7. 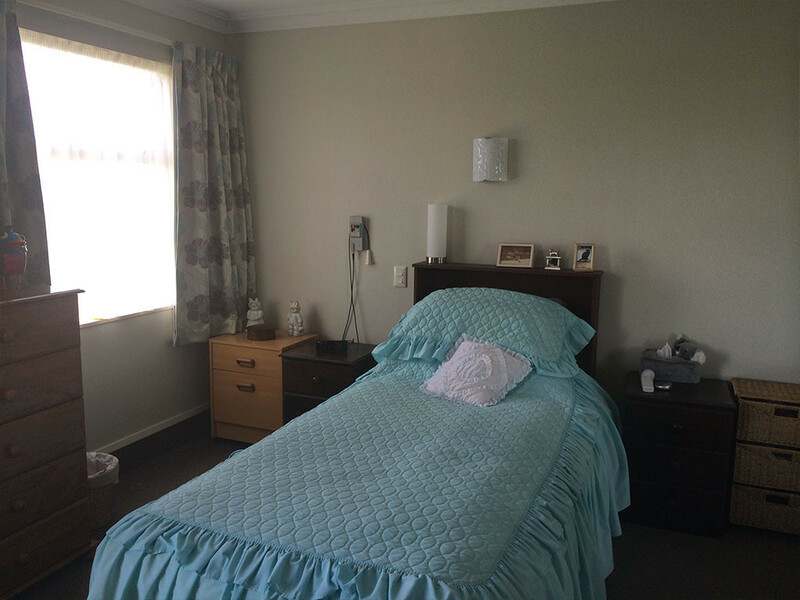 Options of independent packages of services or Rest Home or Hospital level care. Security cameras and night patrols. 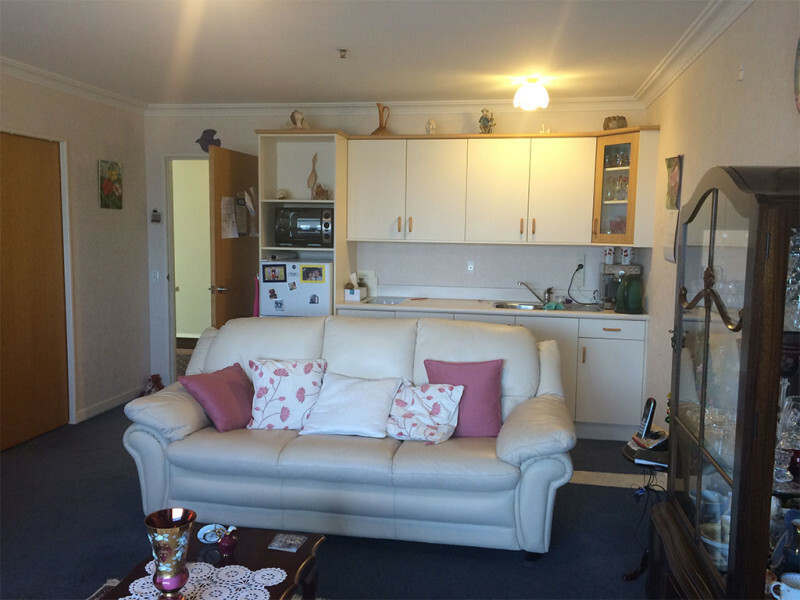 There are two Apartment blocks at Maida Vale Retirement Village; ‘Ocean View’ has twelve lifestyle apartments and ‘Mountain View’ has nine serviced apartments adjoining the Rest Home. Ocean View Lifestyle Apartments are located in the old tavern of the one-time Bell Block Hotel, where a complete redesign and rebuild now provides sunny and roomy apartments. Ocean View has nursing staff on duty 24 hours a day. 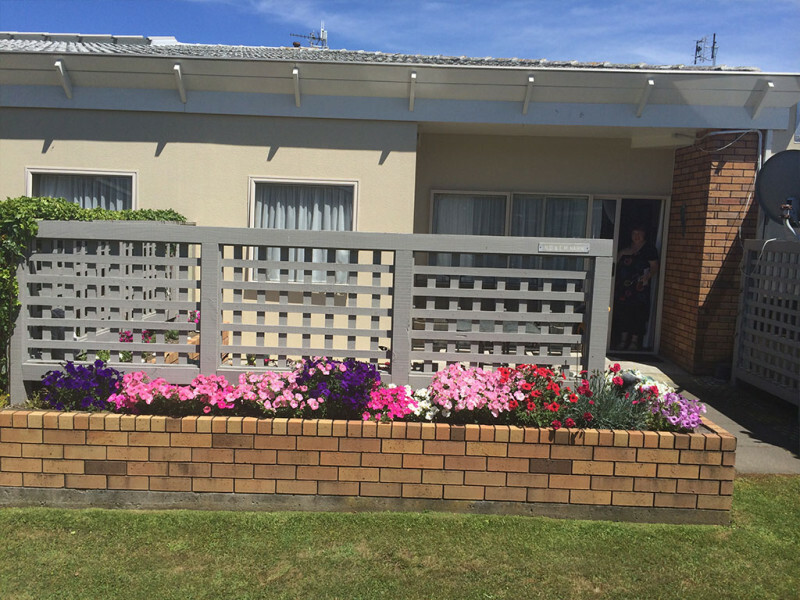 This provides residents with security and understanding that their needs and requirements are attended to. Apartments have one bedroom, separate bathroom, combined lounge, dining and kitchenette and small courtyards attached. 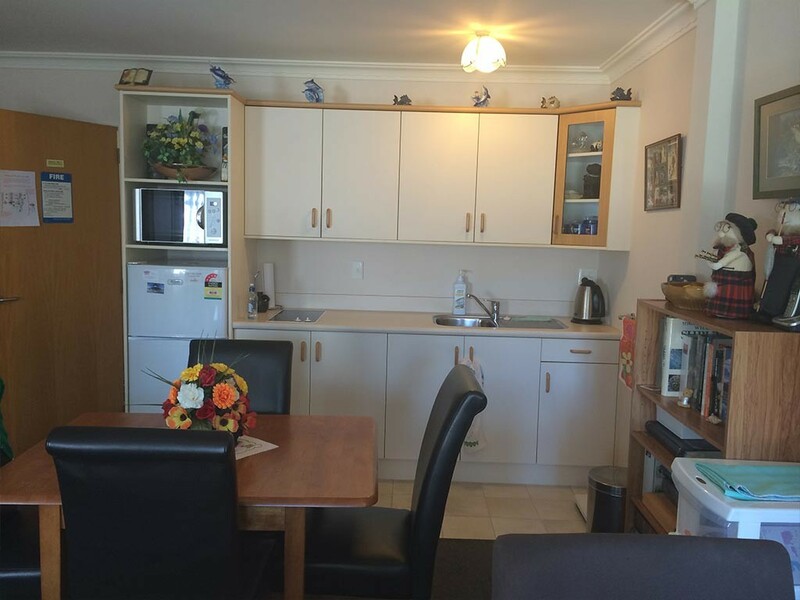 Lifestyle apartments are designed for those residents who are fully independent and want to maintain an independent lifestyle in a safe secure environment. Should your needs change you can still remain in your apartment and receive Rest Home level care. Independent residents have a choice of three packages of service depending on individual requirements. Rest Home level of care. Service packages are offered – Prices on inquiry. 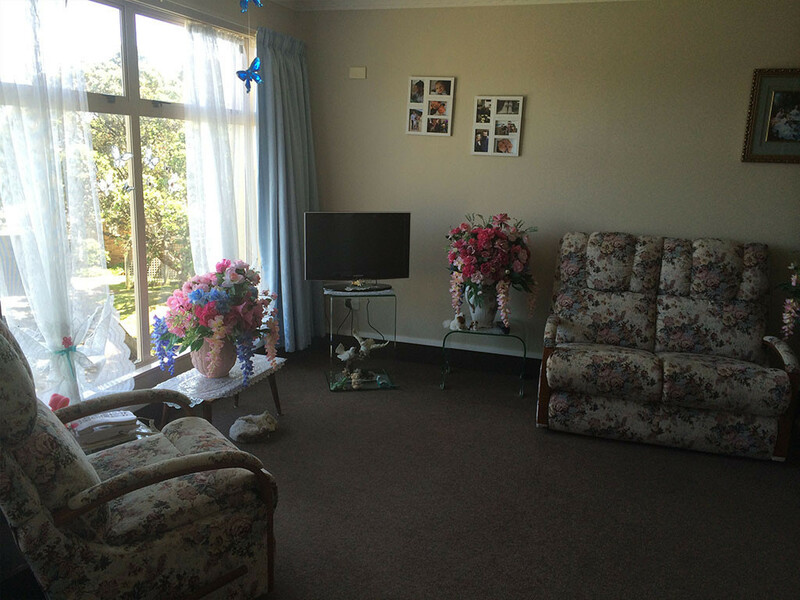 Mountain View Serviced Apartments are attached to Mountain View Rest Home. Within the Care Centre are nine Licenced to Occupy Serviced Apartments. Here, rest home or hospital level of care can be delivered to residents without the need for them to be moved. 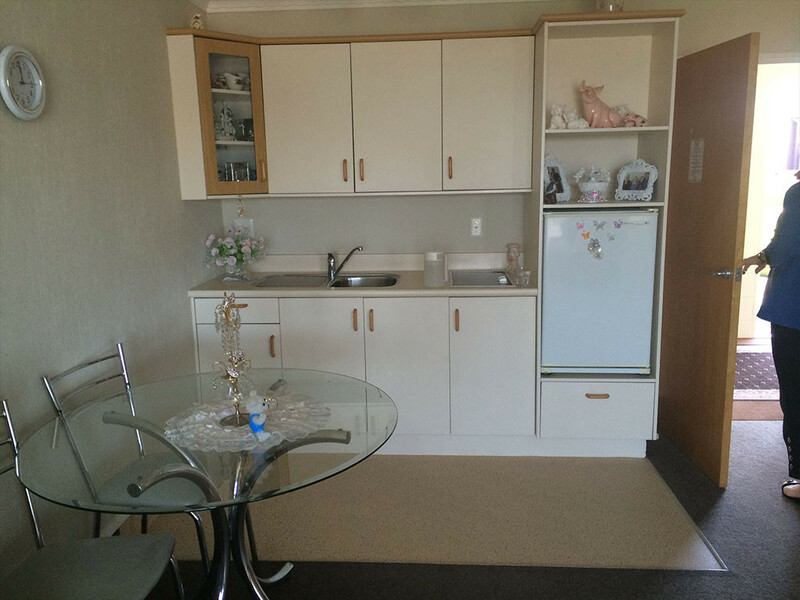 Apartments have one large bedroom, en-suite bathroom, and combined lounge, dining and kitchenette. There is a spacious communal area including chapel, house bar and conservatory. There are breath-taking, panoramic views from most areas of Mountain View. 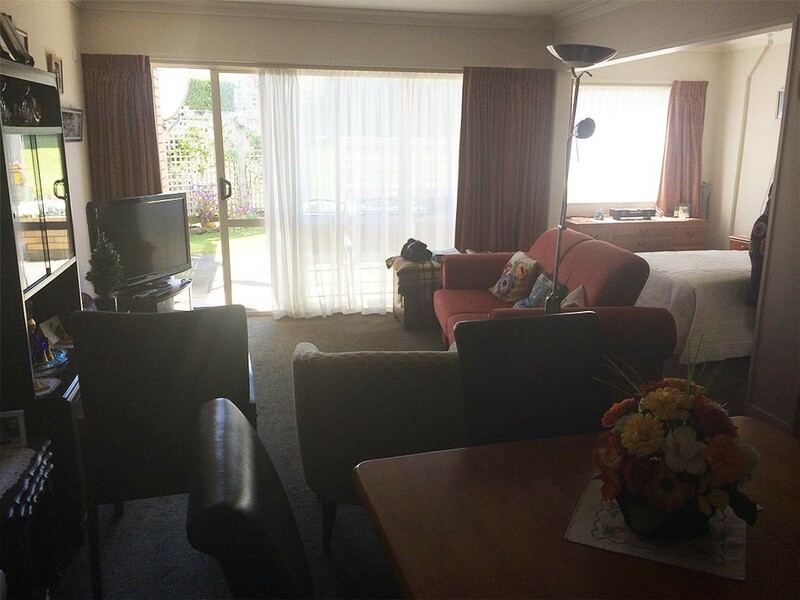 Residents can relax in comfort and study the many moods of the Tasman Sea. Rest home or Hospital level of care. 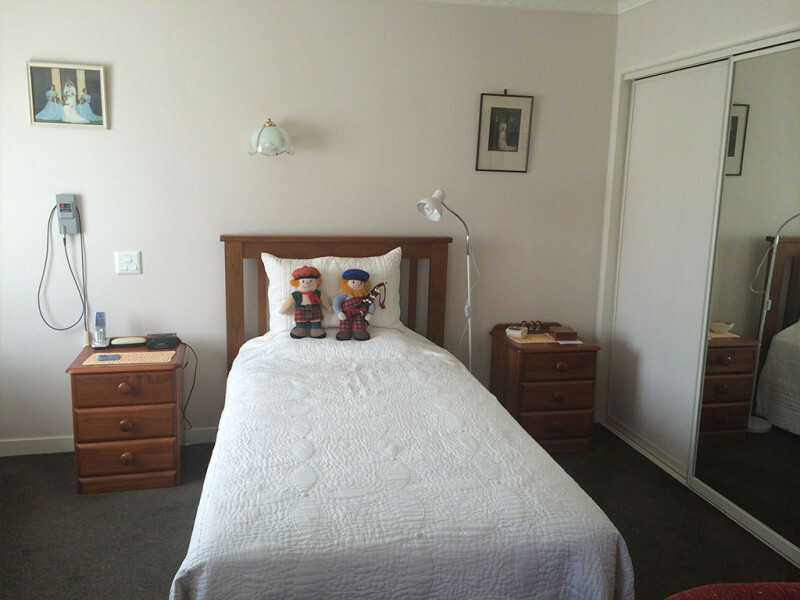 Full rest home care can be provided in a serviced apartment for residents, if they wish. 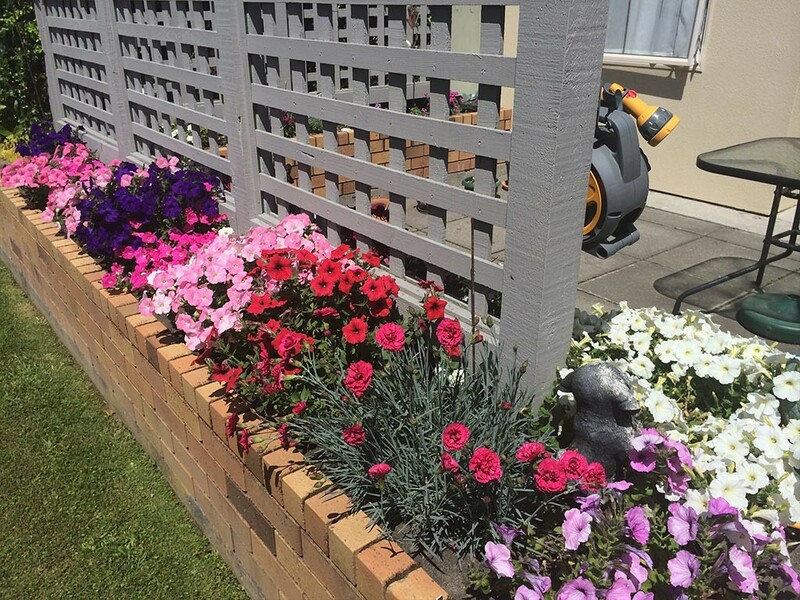 Alternatively, residents may choose another service package option appropriate to their needs. 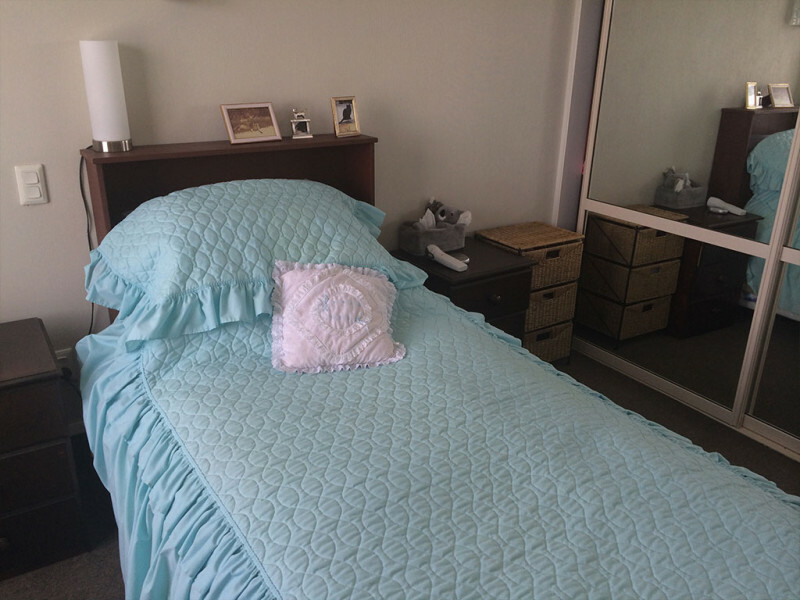 Full service package includes core service fee, power and gas, breakfast, lunch and dinner, cleaning, laundry, some recreation, 24 hour nurse care supervision only. The current weekly fee is dependent upon care needs as assessed by our Registered Nurse and Clinical Manager.